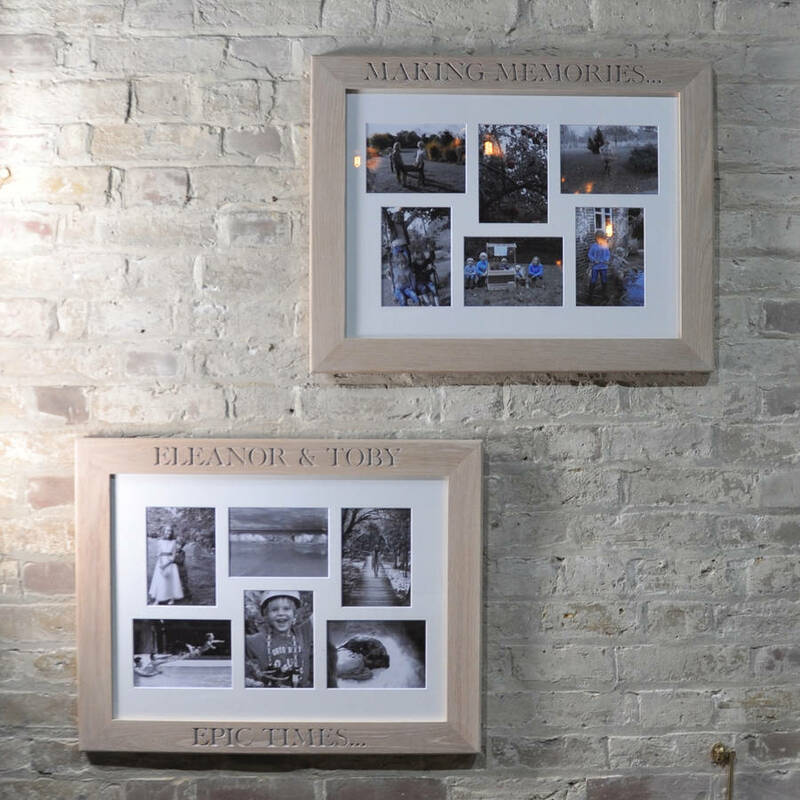 This frame is perfect to celebrate a specific event, holiday or simply your favourite photos of someone close to you. 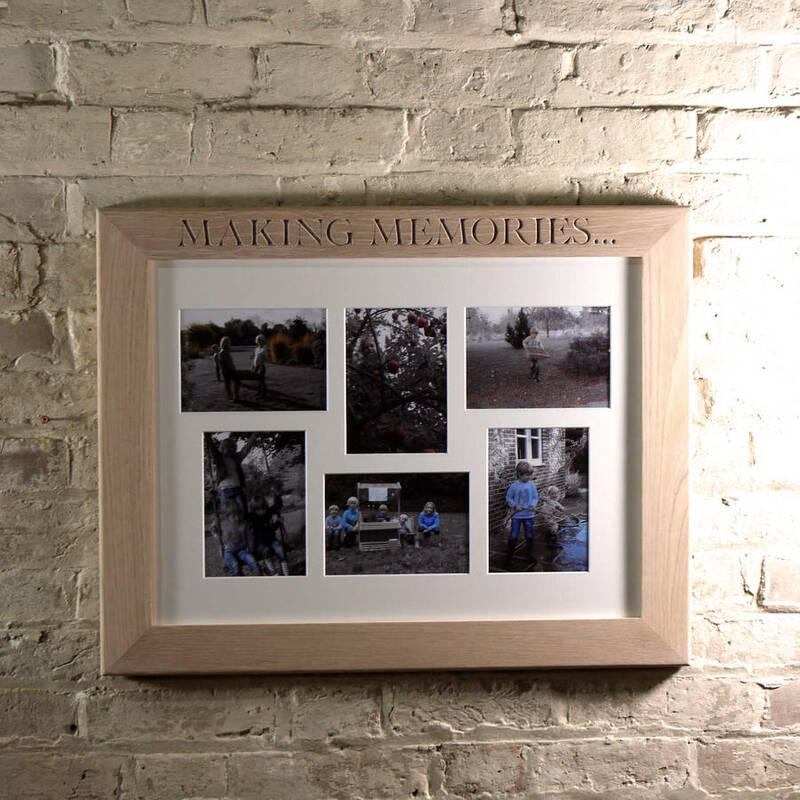 Make a frame for a big celebration and fill it afterwards with the best memories of the day. Perfect for weddings or big birthdays. How about the best shots from your baby's first year. We keep far too many photographs simply on our computers. It is important to choose the very best ones and make sure we keep the memories forever. 20 letters of engraving along 2 sides for landscape. 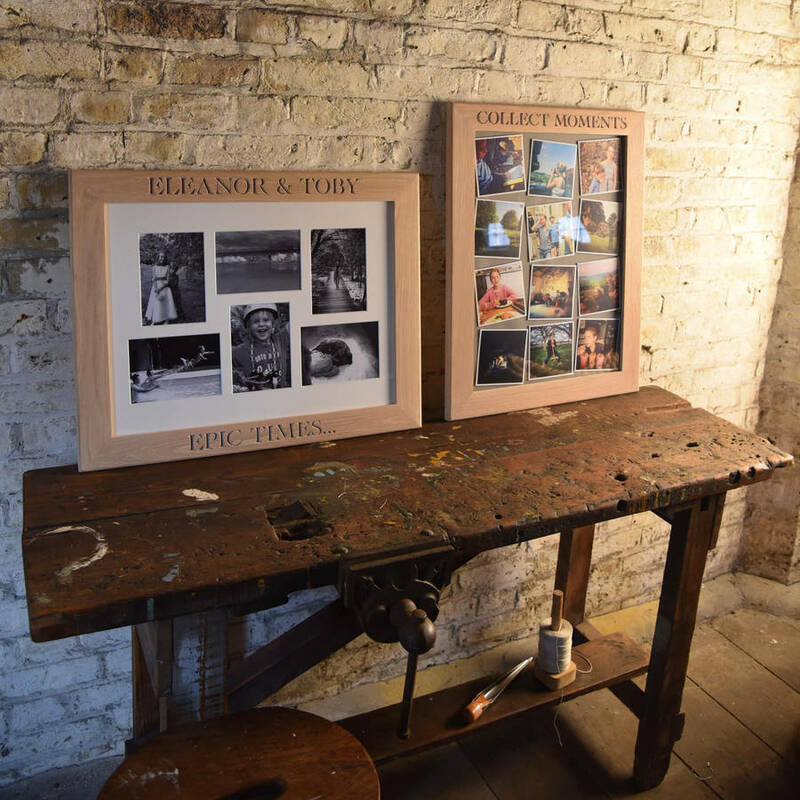 The space for 6 photographs (7 x 5 inch ones) measures approximately 59 x 44 x 2 cm, 68 x 53 x 2 cm with the frame. 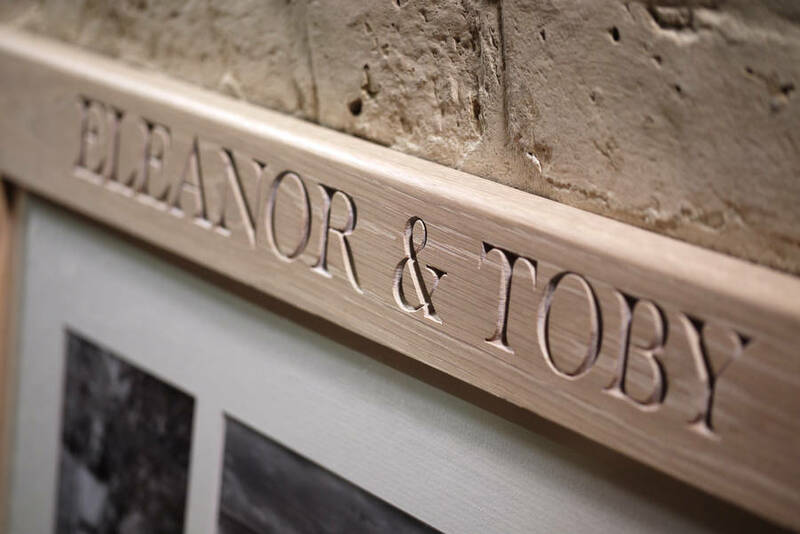 Solid Oak profile is approximately 4 cm wide. This product is dispatched to you by The Oak & Rope Company.